I have nailed down a definite photo shoot theme I will be doing this spring (or possibly in the snow if it sticks this week!) 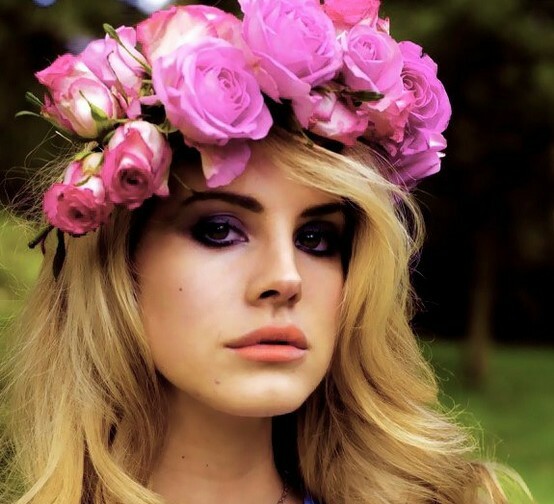 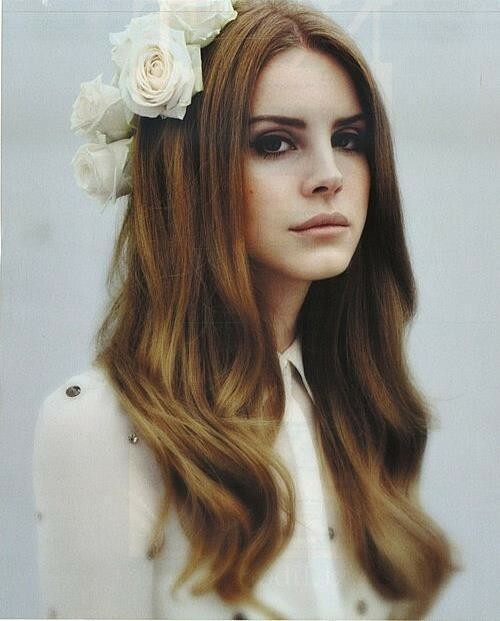 I want to create a whimsical world inspired by Lana Del Ray's floral hats and halos. 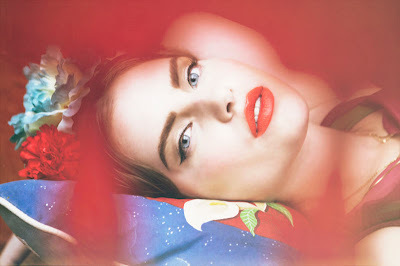 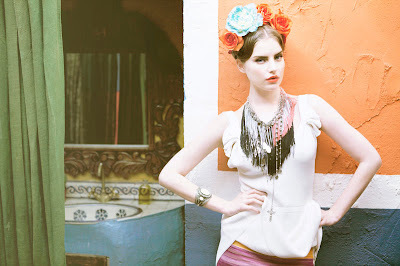 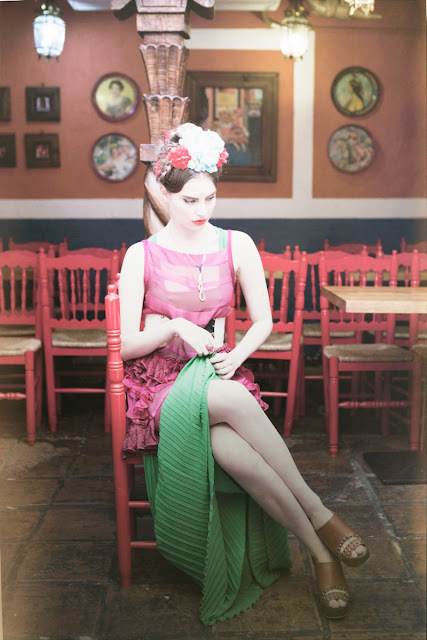 I am also very inspired by this Anouk Nitsche for Fashion Gone Rogue photo spread. 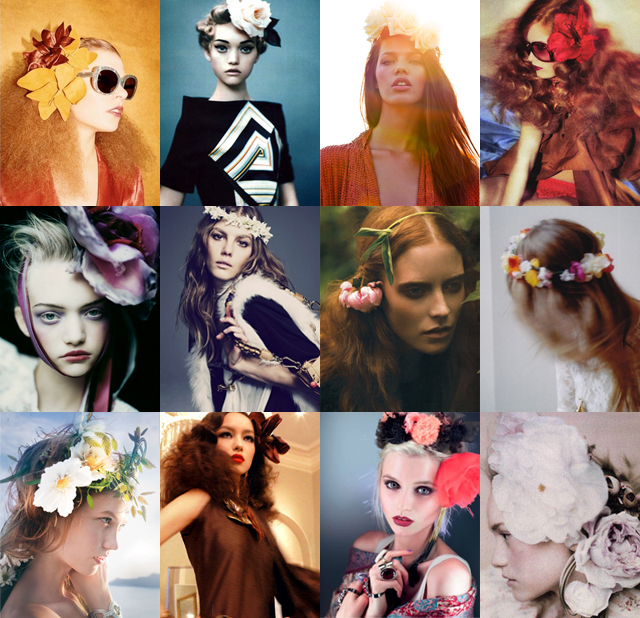 The colors, editing and hair flowers are all amazing.